Private Rooms with shared bathroom From 2 to 6 beds in a room. Rooms have a fan. 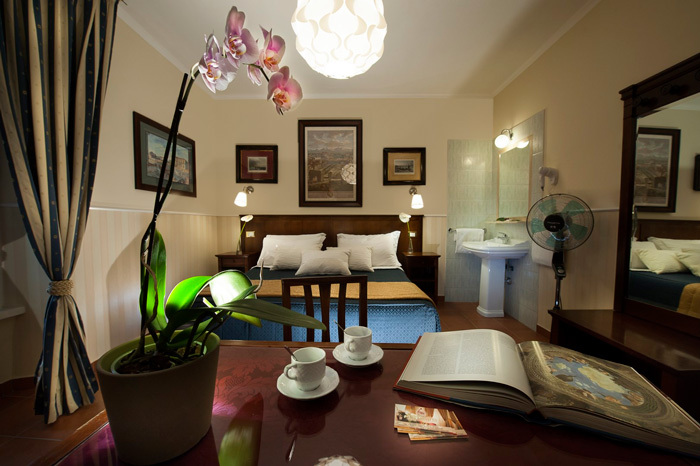 Guests that stay in rooms with shared bathroom are welcome to have the buffet breakfast at 12 euro surcharge. Rooms equipped with the following services: TV, Cable TV, Hair drier, Phone, Centralized heating.